Adrian Wolfe has been married three times. Twice divorced with children from each marriage, he has maintained friendships with all of his wives, and they with each other. The third try, however, doesn’t end on quite as positive a note. His third wife is hit by a bus one night after spending the evening drinking. Did she commit suicide? Was she pushed? And why was she out drinking anyway? 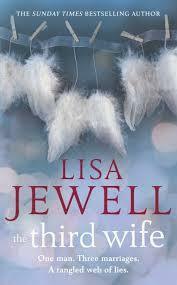 The author of The Third Wife is one of my favorite writers – Lisa Jewell. Her puzzlers are always truly puzzling and her characters are all realistic and flawed, but mostly likeable. This book was no exception. It was interesting to look at Adrian and his big, supposedly happy extended family and imagine that anyone could be so clueless as to think that all of this was as it appeared. It isn’t hard for the reader to put his or herself in Maya’s Third-Wife shoes and realize that it wasn’t all fun and games to be part of this whole scenario. The author kept me wondering throughout the book. Who was sending Maya such mean emails? Do they all like each other as much as it seems? Did Maya jump or get pushed? I kept thinking that the answer was obvious, and yet again and again it became apparent that things weren’t always what they seemed. I loved the ending of the book. It felt realistic to me and boded well for the future of the entire Wolfe clan. 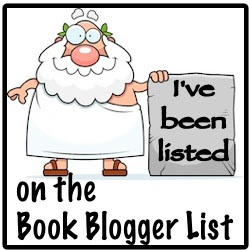 Thumbs up on this book.